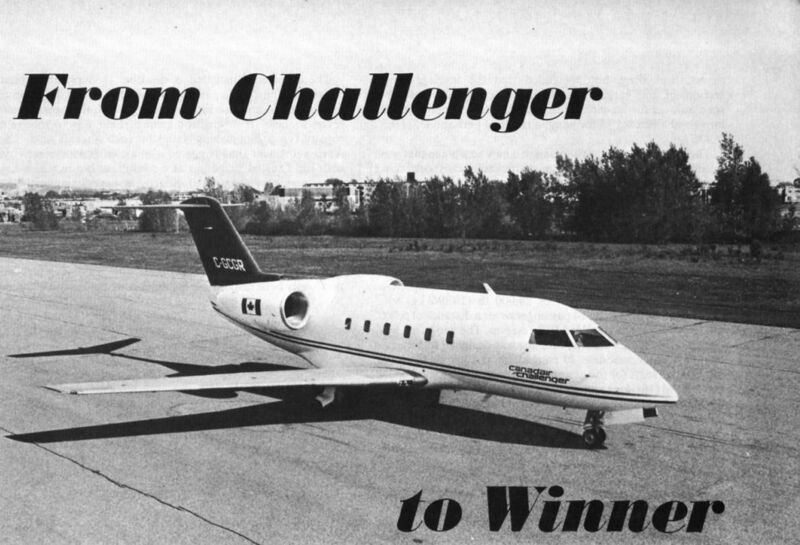 Photograph of the first Challenger on the occasion of its roll-out in Montreal at the end of May 1978. 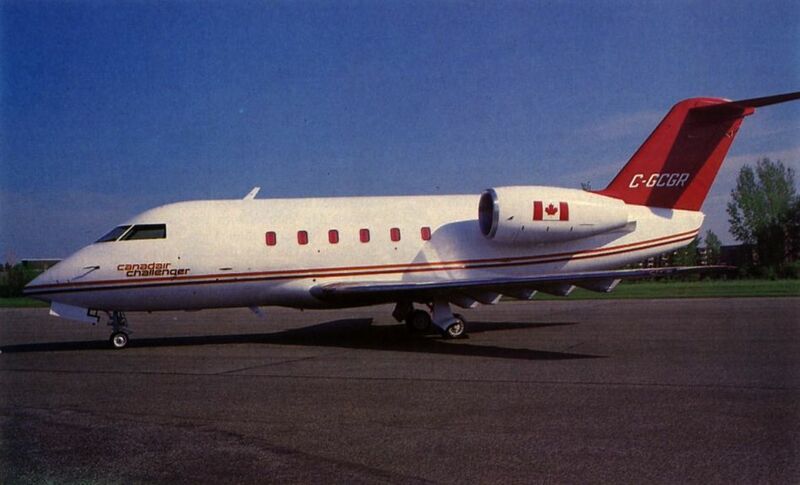 Flight testing of this and the next two aircraft will be based in California to avoid weather delays during the coming Canadian winter. 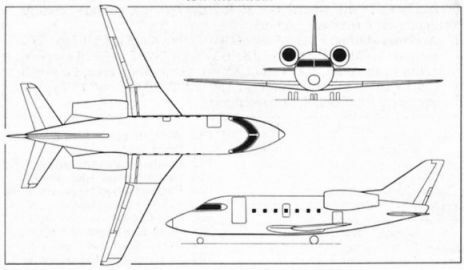 The Challenger, with its distinctive T-tail, has a somewhat stubby external appearance, resulting from the decision to adopt a "widebody" layout. 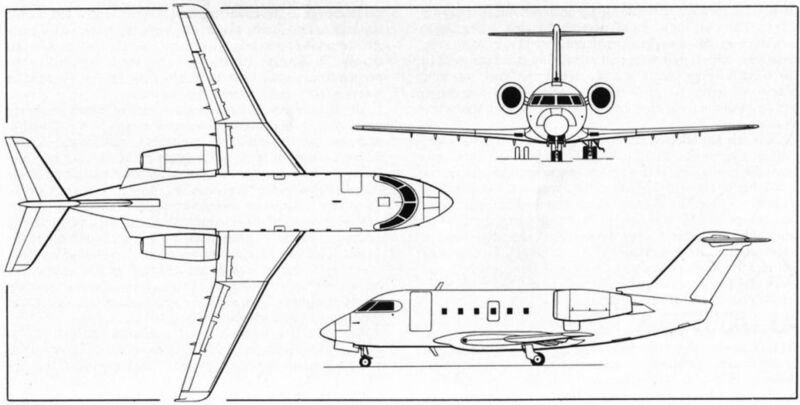 Canadair has tooled up for production of up to seven Challengers a month, and the first aircraft was built in production jigs. 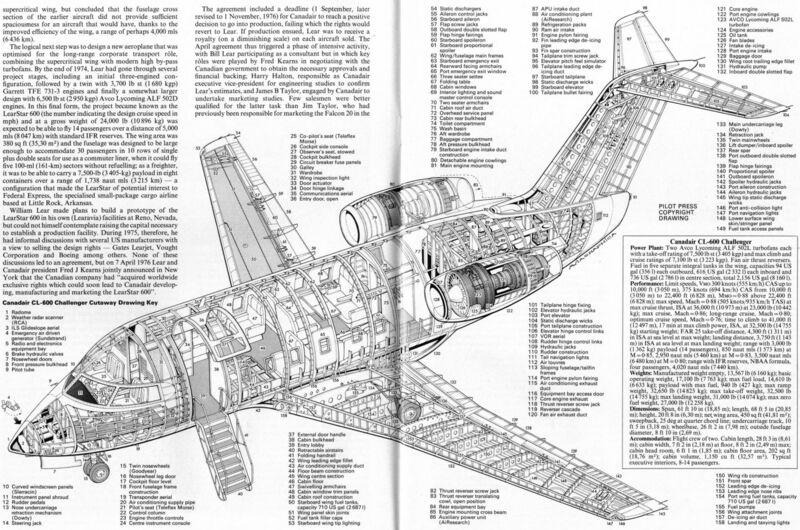 The illustrations show the Challenger's one-piece wing, and front fuselage sections in production. 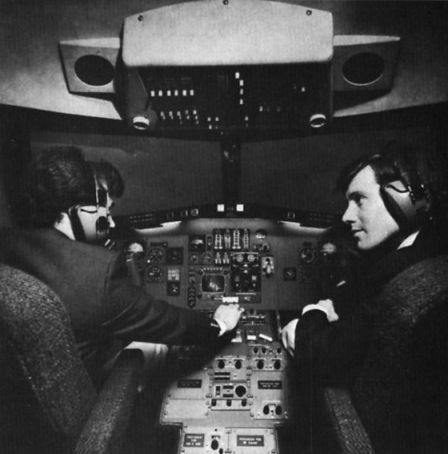 A cockpit mock-up, showing the well-organised and functional layout of the panels. 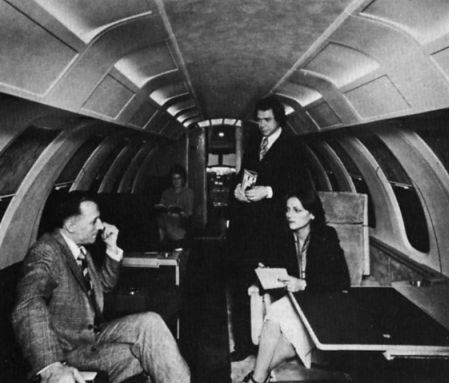 The Challenger has a somewhat stubby external appearance, resulting from the decision to adopt a "widebody" layout, well illustrated in the photograph of a mock-up interior. 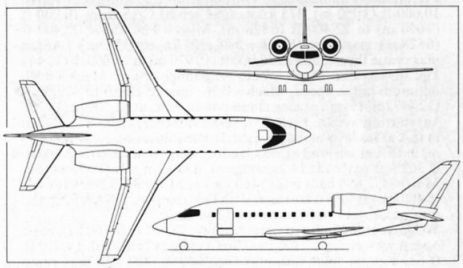 A three-view drawing of the LearStar 600 as projected early in 1975. at which time it had a 23.000-lb (10442-kg) gross weight, a 370 sq ft (34,37-m2) wing area and a fuselage diameter of 88 in (2.23 m). A 5.000-ml (8 047-km) range was promised carrying six passengers. 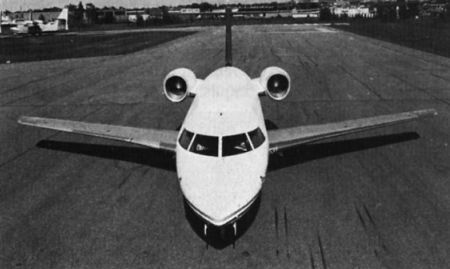 The LearStar 600 as first publicised by Canadair, with low tailplane, multiple cabin windows and the original fuselage diameter of 88 in (2.23 m). 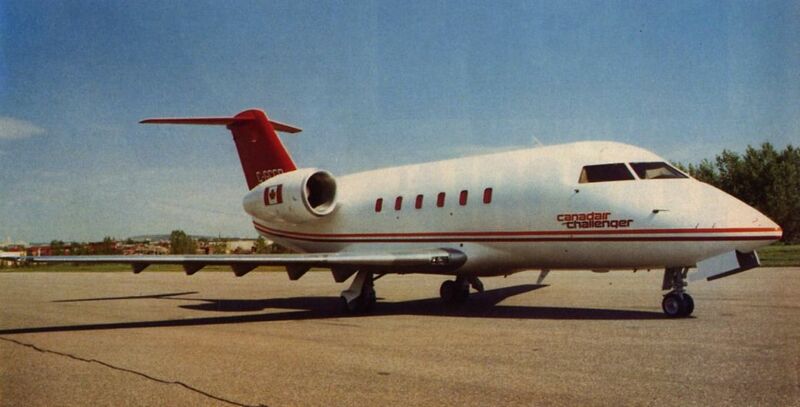 The first major Canadair revision of the LearStar 600, with fuselage diameter increased to 106 in (2.69 m). 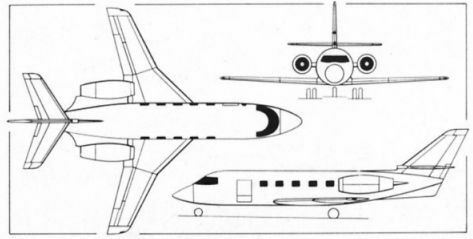 The number of cabin windows has been reduced and the tailplane remains low-mounted.